CIA agent Jack Ryan investigates the murder of the president's friend, a prominent US businessman with secret ties to Colombian drug cartels. Tom Clancy's work never did a whole lot for me, as I tended find his work to be rather dry and less than exciting. Clancy's love affair with political and technical details tended to go overboard and bog down the storylines. While his work could be fairly interesting and stimulating, I always felt that with a little more streamlining, his stories might have been much more provocative. However, I finally found Clancy I could love with the film adaptation of 1994's Clear and Present Danger. After two entertaining but not exceptional forays into movies with 1990's The Hunt For Red October and 1992's Patriot Games, the Jack Ryan series hit its stride with this terrific picture. At the start of the film, we see the Coast Guard discovers slain inhabitants of a yacht in the south Caribbean. Now-deceased Peter Hardin had important friends, including the US President Bennett (Donald Moffat), and when the Commander In Chief learns of the killings, he demands reprisals against the South American drug cartels that caused these problems. After his boss Admiral Greer (James Earl Jones) becomes seriously ill, CIA consultant Jack Ryan (Harrison Ford) takes over the position as Acting Deputy Director of Intelligence. This means he’ll need to work with National Security Adviser James Cutter (Harris Yulin) and Deputy Director of Operations Robert Ritter (Henry Czerny), neither of whom welcome the presence of this “boy scout” since they need to get down and dirty to follow the president’s orders. In the meantime, we meet the other side in Colombia as we encounter drug lord Ernesto Escobedo (Miguel Sandoval) and his counsel Felix Cortez (Joaquim de Almeida). Escobedo enacted the slaughter of Hardin and his family, but Cortez objects to that form of business. Eventually Ryan starts to sniff dirty dealings by his own government as well as Escobedo, Cortez and others. The rest of the movie follows his attempt to find the truth and set things right. Clear and Present Danger manages to have its cake and eat it too by combining the intricate technical world of Clancy with more mayhem and excitement than previously depicted. Make no mistake - this isn't an all-out action-fest, as it still spends a lot of its time in the realm of political intrigue. However, it peppers that standard Clancy fare with some terrific fight sequences. Really, for the first hour or so, Clear and Present Danger follows a fairly standard course for Clancy stories. It seems fairly interesting and maintains your attention, but it largely covers expository material. Since Clancy's works tend to feature complicated plots and lots of characters, it requires about an hour for all of the roles and settings to become established. For my money, Clear and Present Danger really starts to take off as we approach the halfway mark. At that point, the film moves into another gear when we see the assault on the FBI director’s motorcade. Director Phillip Noyce paces the scene beautifully as we slowly see the attackers take their places before all hell breaks loose. The segment possesses a tremendous impact, both viscerally and emotionally, and it sets the tone for the rest of the film. The experience seems to change Ryan, who goes from sideline advisor to more active participant. All this makes for an exciting and fairly moving action film, and I found the whole experience to be quite a big comeback after the occasionally dull Patriot Games. Director Noyce shows a lot more flair behind the camera this time around, and the film moves along at a pretty good pace, especially for a relatively long picture. Noyce handles the action sequences with substantially more flair, and even though Danger lasts 25 minutes longer than Games, it progresses so nicely that it actually seems shorter. 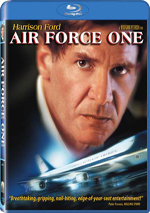 As usual, Harrison Ford does fine work in the role of Jack Ryan. Ford's name on the marquee pretty much guarantees good work, and Clear and Present Danger provides no exception. The supporting cast also seems top-notch, and Henry Czerny probably offers the biggest standout as weaselly bureaucrat Robert Ritter. Czerny plays the role with just the right level of sliminess, so he makes sure we see the character for what he is, but he never goes over the top and creates a cartoon villain. I also like Joaquim de Almeida as shady drug advisor Felix Cortez because he seems just slick enough to pull off his plans. Unfortunately, he’s exactly the physical type the filmmakers would like us to believe he is, so while the script often calls him a "Latin Jack Ryan," he looks a lot more like a Latin Phil Hartman. Most of the movies based on Tom Clancy novels work reasonably well, but Clear and Present Danger remains the series’ strongest effort. It meshes Clancy’s intricate plots and complicated intrigue with a positive sense of action and panache largely absent from the others. It seems exciting, moving and neatly paced, and Danger provides a fine piece of work. Clear and Present Danger appears in an aspect ratio of approximately 2.35:1 on this 4K UHD Disc. Though not stellar, the image held up pretty well. Sharpness varied but usually seemed strong. Though occasional shots looked oddly soft – usually during interiors – the majority of the movie offered accurate, concise visuals. No issues with jagged edges or shimmering occurred, and edge haloes created no distractions. Print flaws also failed to pop up during this clean presentation, though I thought a little digital noise reduction could make the movie a bit too “smoothed-out” at times. Colors were generally good given the movie’s low-key palette. Much of the film opted for grays or earth tones, so the hues lacked much room to dazzle, but they seemed true to the project’s intentions. Blacks came across as deep and tight, while shadows showed nice visibility. Though the image didn’t seem consistently great, it was good enough for a “B”. In addition, Danger presented a stellar Dolby TrueHD 5.1 soundfield. The louder scenes benefited the most, of course, as the various action sequences presented excellent use of all five channels. For example, the motorcade assault really took great advantage of the various speakers. Bullets and vehicles moved efficiently and accurately all around the room, and everything remained logically placed. Quieter scenes also demonstrated a strong feeling of environment, and helped place us in the moment well. Even something as simple as a room filled with computer operators gave us a good sense of atmosphere. Audio quality mostly appeared excellent, with only some small exceptions. Actually, I only detected one occasional exception, and it related to speech. At times dialogue came across as mildly stiff, but that didn’t occur frequently. For the most part, the lines seemed distinct and natural. Music appeared vibrant and dynamic, with bright highs and rich bass. Effects stole the show as expected. Those elements sounded vivid and robust, and they packed a nice punch. Low-end response was consistently terrific, as bass appeared loud and clear. The audio of Clear and Present Danger nicely complemented the action and helped make the movie more satisfying. How did the 4K UHD compare to the Blu-ray version? Audio remained identical, as both discs provided the same TrueHD material. Visuals became a different matter, though, as the 4K UHD presented a clear – and present – improvement over the BD. The 4K UHD looked more concise and cleaner with superior colors and depth. Even with its minor drawbacks, the 4K UHD seemed much more appealing than the blah Blu-ray. No extras appear on the 4K UHD itself, but the included Blu-ray copy brings some elements. In addition to the film’s trailer, we get a documentary called Behind the Danger. This 26-minute and 35-second program presents interviews with producer Mace Neufeld, director Phillip Noyce, and actors Harrison Ford, Donald Moffat, Harris Yulin, Ann Magnuson, James Earl Jones, Henry Czerny, Anne Archer, Miguel Sandoval, and Joaquim de Almeida. This program talks about the producer’s desire to keep the party going after everyone enjoyed making Patriot Games and then goes over subjects such as Noyce’s influence on the set, the film’s expansion of the Ryan character, the relationship between Greer and Ryan, the development – or lack thereof – accorded the character of Cathy, casting the new actors, creating the computer duel and motorcade assassination sequences, and the destruction of a house. This program indulges in more happy talk than the other two; much of the time we hear little more than how wonderful everyone is. However, it includes some good information about the technical topics, and the inclusion of some animated storyboards for the motorcade scene provides a cool look at those techniques. “Danger” is a fairly average documentary as a whole, though. Probably the best of the Jack Ryan flicks, Clear and Present Danger offers a satisfying action flick that consistently fires on all cylinders. Boasting a solid cast and some excellent action pieces, the movie seems exciting and dramatic. The 4K UHD delivers excellent audio with generally positive visuals and mediocre supplements. 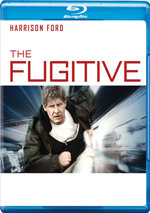 I wish the Ryan movies would get better bonus materials, but at least the 4K UHD presents the movie itself well. Note that as of August 2018, this 4K UHD version of Clear and Present Danger can only be purchased via a five-movie package. 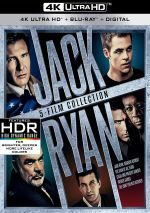 The “Jack Ryan Collection” also includes 4K UHD versions of The Hunt for Red October, Patriot Games, The Sum of All Fears and Jack Ryan: Shadow Recruit.